Training topics include: This e-Learning course provides an understanding of web accessibility in design elements in wireframe and copy. Information in this course covers how Web Content Accessibility Guidelines (WCAG) affects developers and designers. Examples, best practices and the importance of good design is discussed. Direct links are provided to specific information and guidelines. 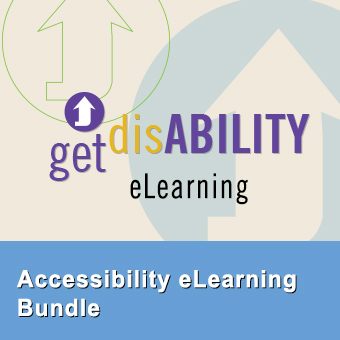 This course was developed for information technology professionals who want to learn about accessibility and how to build accessibility website or fix current issues. Who will benefit: Invest in your organization and get everyone including your HR and IT team up to speed with ADA/ADAAA regulations today. Start ensuring your website is compliant with government accessibility guidelines and start making your site more engaging for everyone.